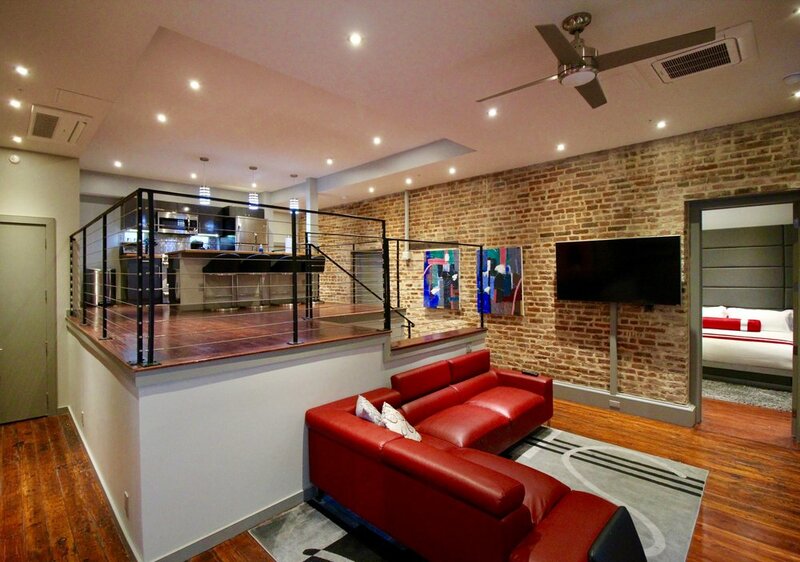 Steps from the French Quarter located centrally in Downtown New Orleans. Luxury 2, 3, and 4 bedroom suites are available for rent. Walkscore.com calls our location a "Walker's Paradise" with a score of 97 out of 100. Whether you are interested in a 2 bedroom, 3 bedroom, 4 bedroom, or any combination of suites, this vacation rental property can accommodate your needs. Located a short 3 minute walk from the French Quarter and close to the Convention Center, Superdome, Aquarium of the Americas, and World War II Museum. These luxury vacation rental condominiums are perfect for family and friend get aways while also being conveniently located for corporate needs or trials at the Federal Courthouse. This property was built circa 1830 and has been beautifully renovated into luxury rental condominiums. Units feature high style with ample original art, photographs, and richly appointed furnishings. All of our countertops at The Natchez are custom made out of 200+ year heart pine timbers that were meticulously reclaimed during the renovation and restoration of this historic Greek Revival building. The pool, grotto, cabanas, sun deck and the hot tubs are immediately accessible in the courtyard to the rear of the property. There are 4 hot tubs on the property: two of them are private to the two suites that have their own private 2nd floor patio decks and 2 are available to all guests with both freshwater and saltwater options available for your enjoyment. 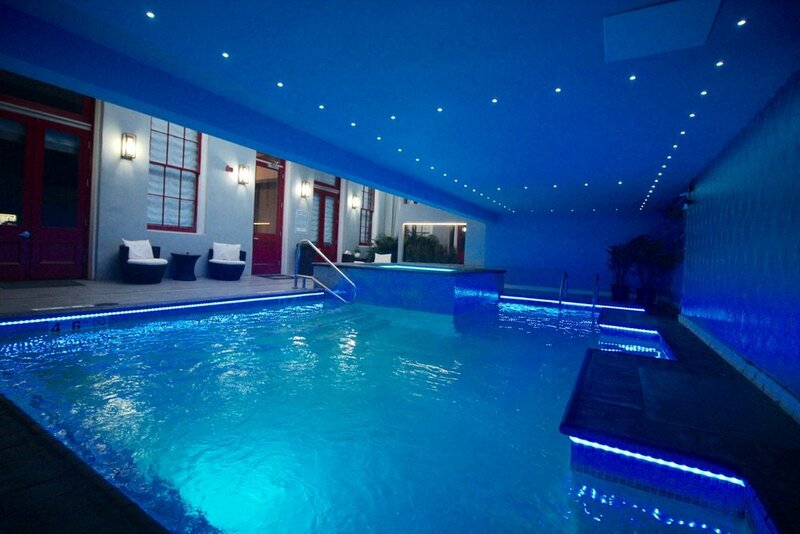 Enjoy a midday or night dip in the swimming pool or lounge in the grotto. Sun bathe on the sun deck overlooking the pool or relax in the cabanas. Feel like kicking back and cooking at home? No problem, a gourmet BBQ station is available to grill your favorite steak or burgers and fully stocked kitchens are at your disposal in your unit. The pool and grotto are accessible all year long and the pool and hot tubs are always heated in the winter months. Rest well knowing that you are safe and sound in this very private and secure property with security cameras and keyed access. 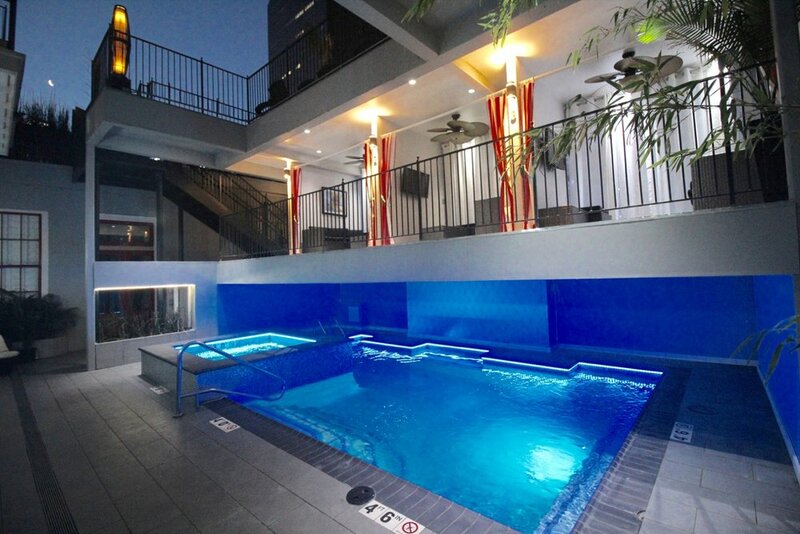 Enjoy a midday or night dip in the swimming pool or lounge in the grotto. Sun bathe on the sun deck overlooking the pool or relax in the cabanas which all feature TVs. 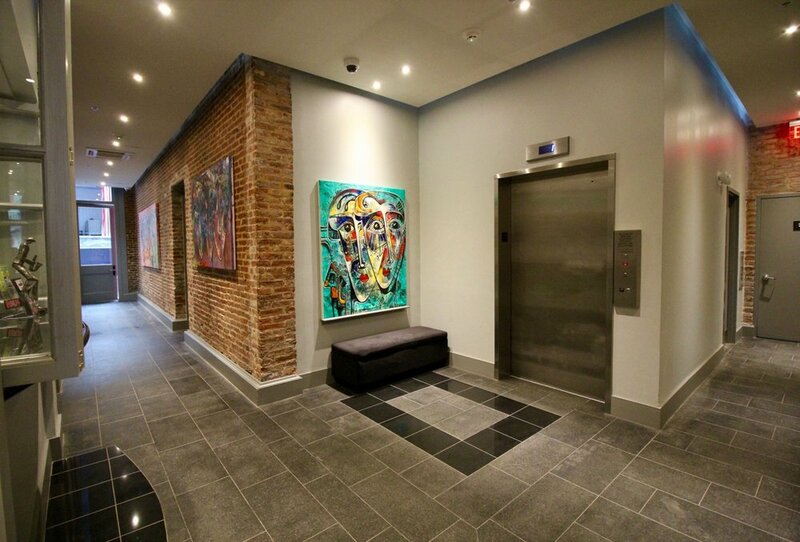 Walk to your favorite restaurant or jazz club: you are within short walking distance to anywhere in the French Quarter, CBD or Warehouse District and a 1 block walk to the historic St. Charles Streetcar line. The vacation rental hotel is ideally located for Mardi Gras, Jazz fest, and all of the French Quarter festivals and events. Famous Royal Street which is renowned for antique shopping, art galleries, boutiques, and restaurants is only a short walk away, as is Bourbon Street and all of its entertainment, energy, and excitement. Enjoy the Aquarium of the Americas, and the IMAX theater. Try your luck at Harrahs Casino-- everything is in easy walking distance of the property. Like to play the Ponies!? The Natchez is a short 15 minute ride away from one of Louisiana’s premiere horse racing tracks, The Fairgrounds race course & slots. The 3rd oldest horse racing track in the U.S. Check the schedule for day and nighttime racing https://www.fairgroundsracecourse.com/calendar/grid . They also have occasional “fun runs” that involve ostrich races, other animals, and sometimes weeny dog races. Loads of fun and only 15 minutes away. All units have fully equipped kitchens: dishes, glasses, flatware, and cookware. Washers and dryers are available for your use in everyone of our units. All linens are provided and replacements and extras are available upon request. Pool towels are also available to enjoy the pool and hot tubs. Vacation Rental Hotel located on Natchez St. between Camp St. and Magazine St.